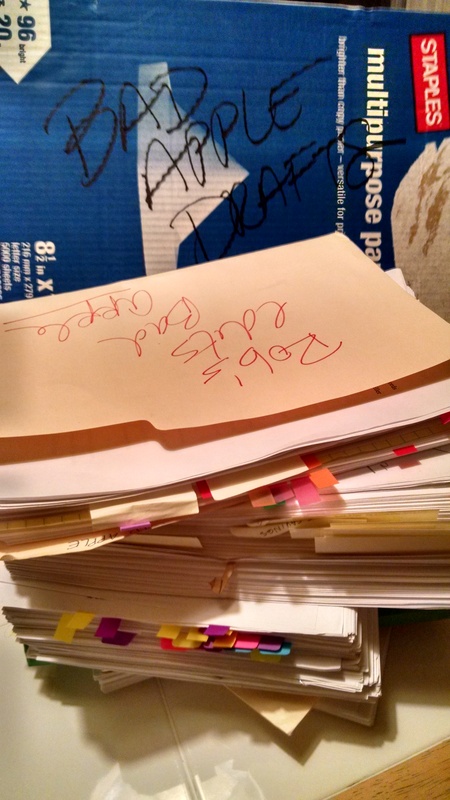 Posted on February 9, 2017, in Bad Apple, Deep Thoughts & Fun Stuff, The Writing Life and tagged bad apple, Dark Alley Press, how do writers declutter, What to do with old drafts of stories. Bookmark the permalink. 1 Comment. Wow I don’t blame you for having some feelings about parting with those old drafts. I didn’t want to part with mine, either. I am heartbroken that many of my buddies aren’t around anymore, but I am well aware of why and how that happened. I took my book off the market to avoid further shaming from that sector. I am offering it online for free. I have been delighted and amazed with the response.